In 1986, while I was still a student at St. Charles Borromeo Seminary, I took an elective course on the Psalms taught by Father James Foley. One of the class assignments was to come up with a “Psalms project” that could be used in parish ministry. I decided to write a radio drama based on the wonderful book by C.S. 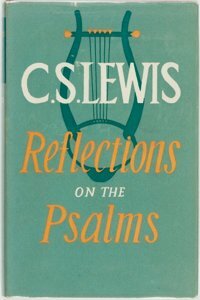 Lewis entitled Reflections on the Psalms. With the help of fellow seminarians Kevin Gallagher (questioner), John Gibbons (angel), and Gary Pacitti (technical production), the written radio drama was transformed into a twenty-seven-minute audio recording. To be sure, the dialogue is somewhat stiff, the acting is a little wooden, and the present version (made from an audiocassette copy) is by no means a good sound recording, but I hope you find the listening worthwhile. At least the insights by Professor Lewis are timeless, and you might even discern my own voice in the role of Saint Augustine! L’arche de Noé. 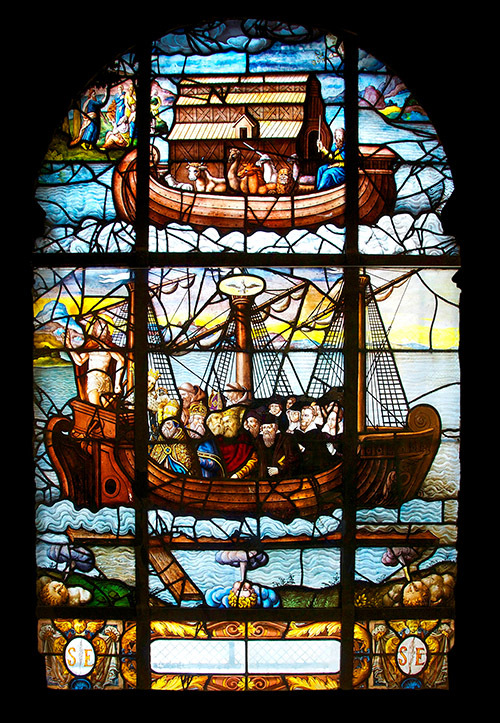 (Noah’s ark), The Church as a nave. Stained glass window. From the Church Saint-Etienne-du-Mont. Paris.